Gray scale flowers with a proper amount of shading delivers an impeccable balance between art and masculinity. 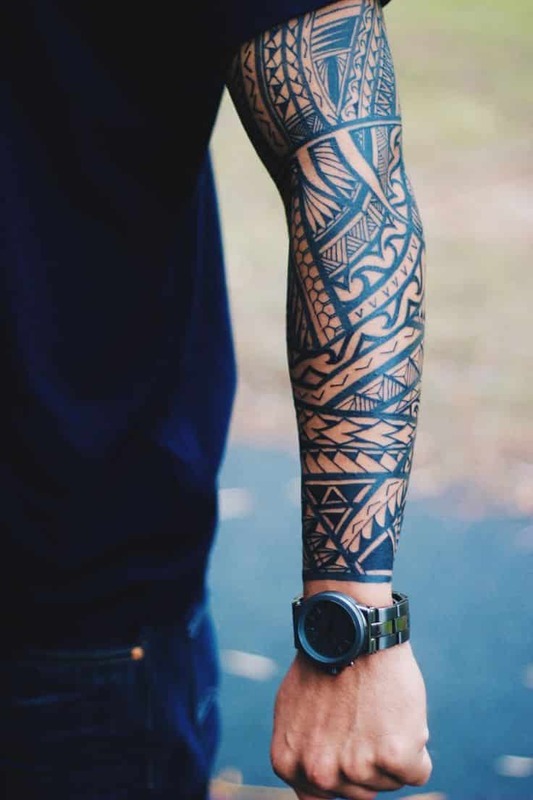 Just as with the tattoo that is being displayed, for these types of arm tattoos idea to be properly executed, multiple flowers will need to be intertwined into the overall design. By all accounts a man is a machine right? Why not display it by marrying the male anatomy with mechanical elements. 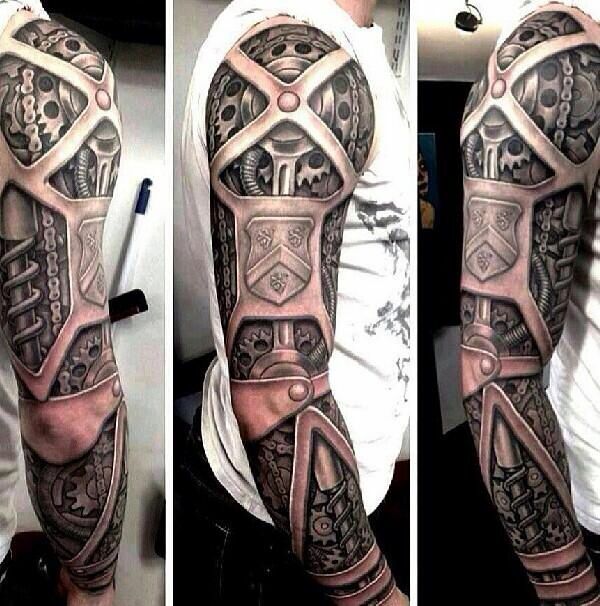 This tattoo turns the entire arm into a stunning display of machinery that mirrors the concept behind “Robo-Cop” and “Terminator”. 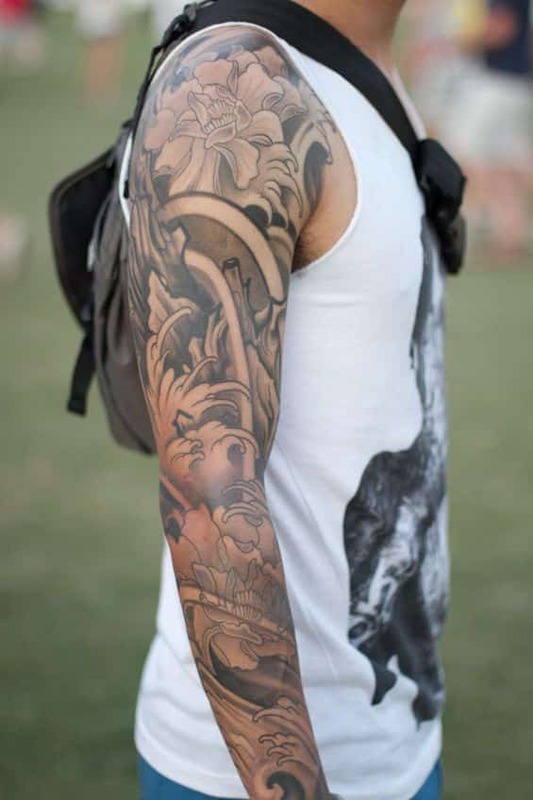 Looking more for small arm tattoos? 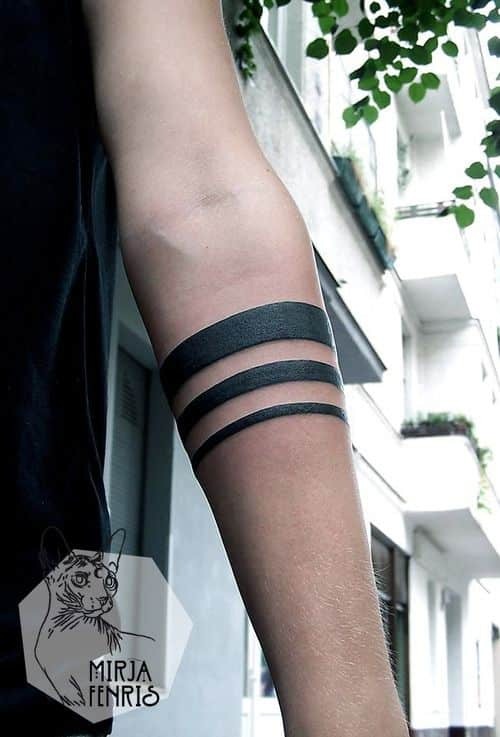 This minimal bold line tattoo is ideal for you. It makes a statement while not presenting any level of distraction and can be covered easily when needed. 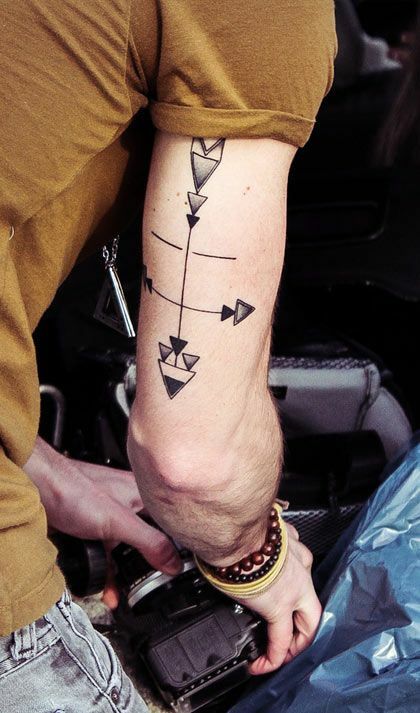 Take the tribal tattoo to a whole new level. Rather than opt for a simple band or a shoulder reaching design; make a complete sleeve out of the concept. 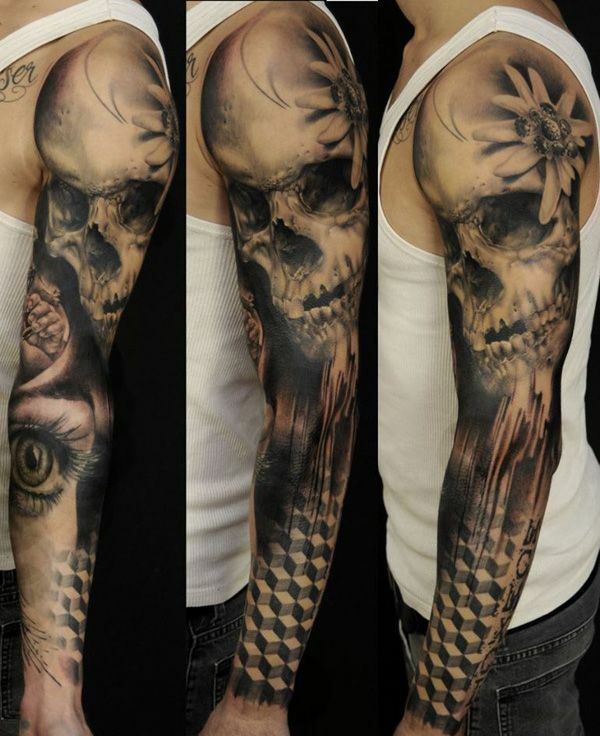 This tattoo combines a number of tribal like designs into a complete jaw dropping design. Create a full work of art stemming from the neck down to the wrist. Utilize multiple components that can be seamlessly pulled together and intertwined. Allow the tattoo to tell a tale as it caresses the arm. There are arm tattoos that allow you to take a trip back in time. Choose an area and an era that is meaningful to you and allow it to accompany you wherever you may venture in life. The use of grayscale adds to the nostalgia of the piece itself. 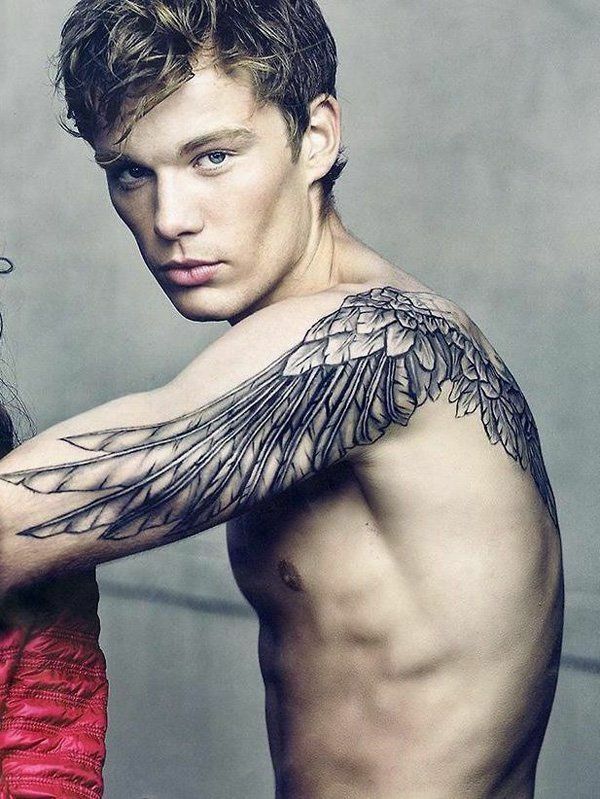 A brilliant tattoo arm idea is to extend angel wings from the back onto and down the arm. Nothing too garish or gaudy, but a delicate yet masculine black depiction of the wing extensions. Skulls, flowers and basic geometric shapes when combined scream masculinity. Add the essence of a woman and you have a tattoo arm that is second to none. 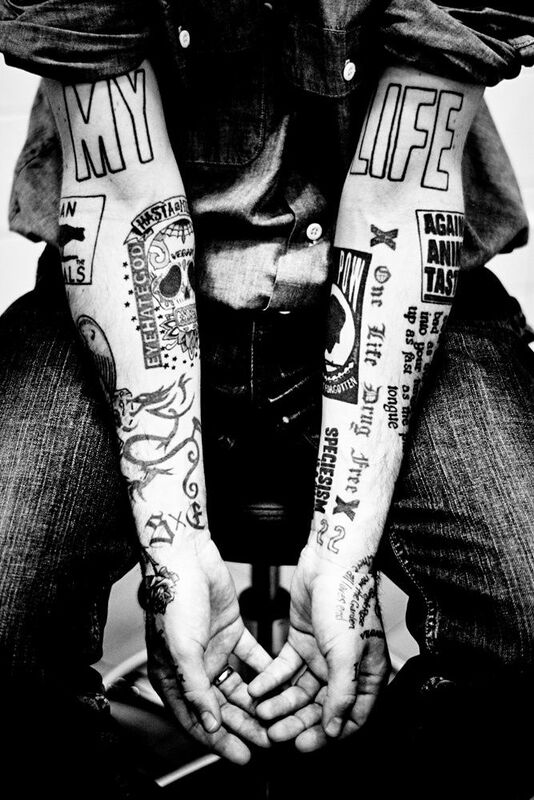 Combine random tattoos as a way of filling in the arm. Whether they all have meaning or a combination of the random and the meaningful, you will be left with a virtual skin billboard of your life and experiences. Geometrical shapes offer minimalistic creativity as well as an air of mystery. They can be placed on either the front or the rear of the arm depending on the overall look that a man wants to accomplish.